This comprehensive case study will explain you how Airbnb business model works, step-by-step. But before jumping head first in the meat of this post, I’d like to spend a few second with you to get the foundations right. I though that would make sense to get us started with a definition. Because the truth, my friend, is that everyone talks about business models. Yet, most people don’t really know what a business model is. So unless you’re able to explain what a business model is in one sentence, let’s take a look at a quick definition. According to Alexander Osterwalder and Yves Pigneur, the authors of Business Model Generation, a business model describes how your organization creates, deliver and capture value. “The business model concentrates on value creation. 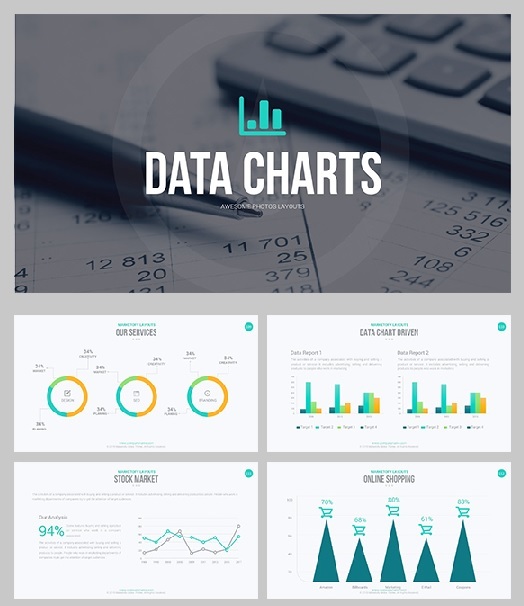 It describes a company’s core strategy to generate economic value […] and provides the basic template on how the firm is going to make money”. If you’re like me, hearing a concept (creating value and making $ out of it) and not having a single idea of how you’re supposed to implement it makes you want to jump out of window. 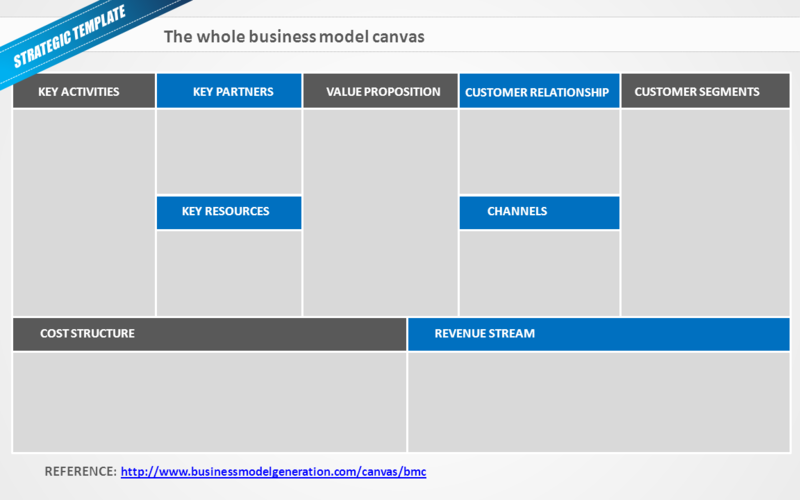 Your business model – anybody’s business model – can be visually described through 9 building blocks. These blocks outline the logic of how your company intends to make money and come straight out of the Business Model Generation handbook. Since I’ll be explaining the business model of Airbnb using this framework, you just need to understand that a business model consists of 9 building blocks. 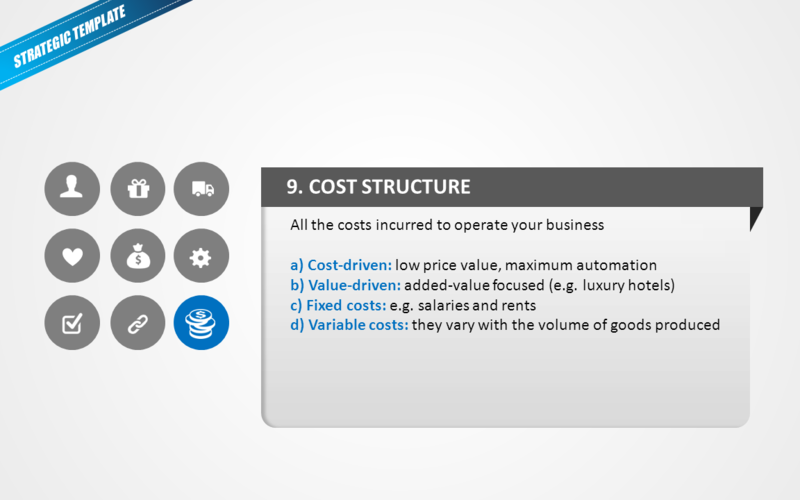 Click here to download the editable, PowerPoint template of this business model. We’re going to use this canvas to explain why and how Airbnb – a barely noticed startup – became the world’s number one marketplace for sharing homes and spaces. It all starts and ends with customers. They are the group of people and organizations you aim to reach AND serve. They are the lifeblood your business. So, Airbnb’s is a platform, right? It’s a platform that connects customers (you, looking for a nice place to rent during holidays) to sellers (me, willing to monetize my house). AirBnB is a multi-sided platform that serves two interdependent Customer Segments: the guests (personal and business travelers) and the hosts (residential asset owners). A multi-sided platform is of value to one group of customers only if the other group is present. 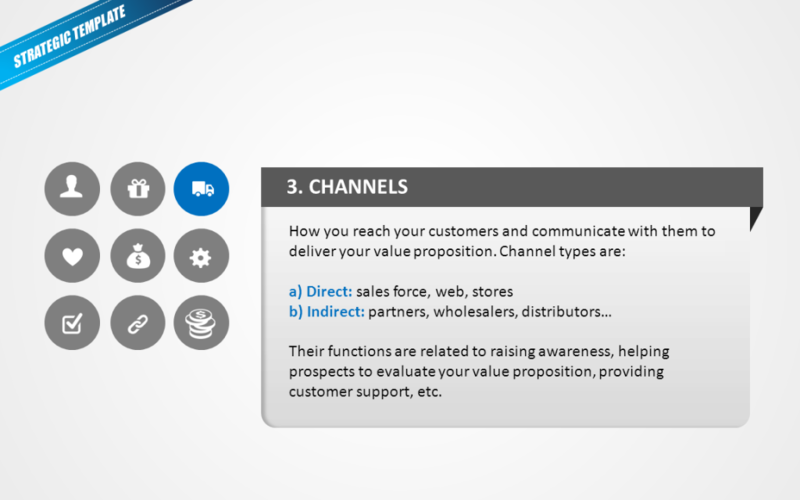 We’ll see later that each of these Customer Segments has its own Value Proposition and associated Revenue Stream. The value proposition describes the bundle of products / services that creates value for a specific customer segment. Source. Basically, how do you create value for your customers and what makes you different? Your Value Proposition is the reason why customers turn to you over your competitors. It could be anything ranging from newness or product performance to customization, design and price. 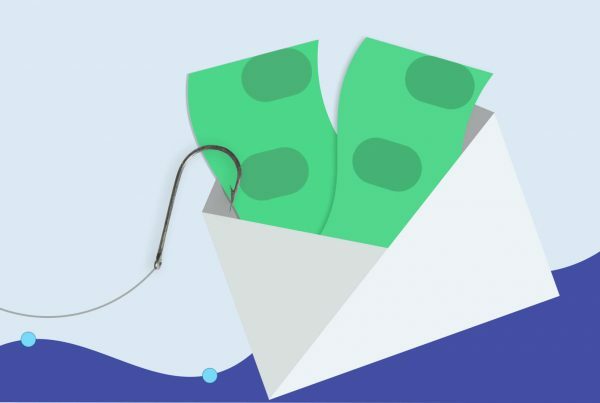 The Value Proposition of your company should always tie into some benefit – an end result that your Customer Segments care about. What benefits does Airbnb bring to people like you and me? 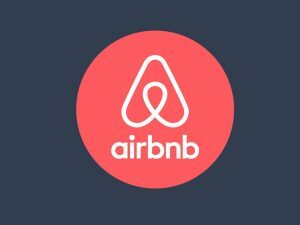 The Value Proposition of Airbnb is to be a trusted community marketplace for people to list, discover and book unique accommodations around the world. How do you reach customers? How do THEY want to be reached? Directly, indirectly? Physically, digitally? Airbnb has implemented strong marketing efforts to reach customers. 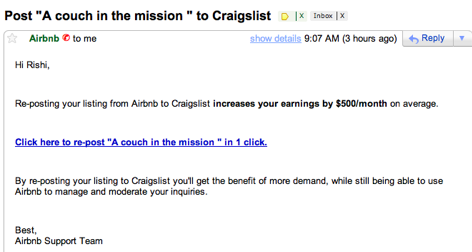 At the early stage, Airbnb leveraged Craigslist, a platform with millions of users looking for accommodations, to increase their user base substantially. When users were filling out the form to list their bedroom on Airbnb, the company provided them a quick link to post the listing on Craigslist. Brillant. This strategy helped them creating a lot of links pointing at Airbnb. Print / display / social paid advertising (targeted ads on Facebook or Twitter). 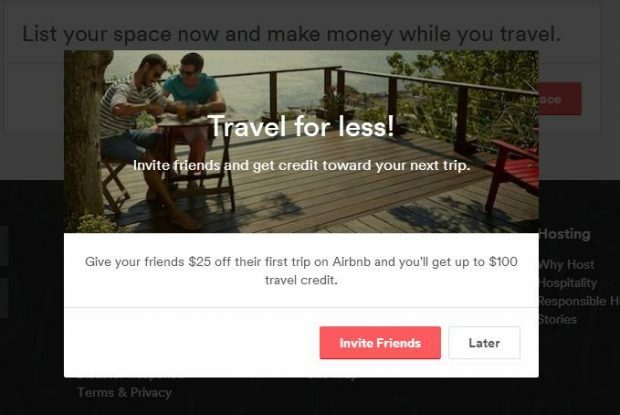 You invite friends from Facebook or email to join Airbnb through unique referral URLs. Each time they sign up, you get credit that can apply to a specific trip. It’s a simple enticing program that leverages the use of community. How do you find, retain and convert customers? How do you build relationships with them? The startup provides renters with awesome experiences to keep them coming back. 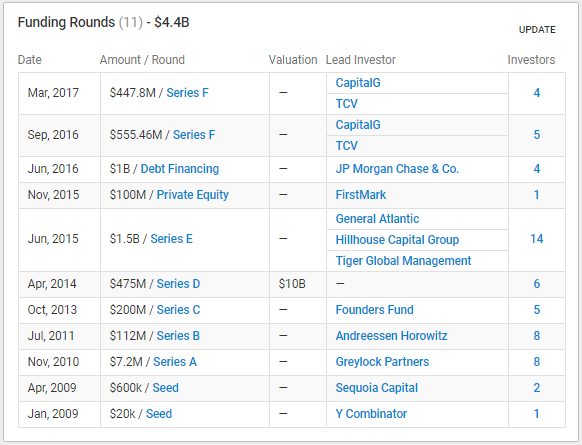 As for owners, the San Francisco start up makes it easy and safe for them to monetize their assets. Also, Airbnb knew that to acquire and retain their customers, they need to provide a fast, reliable and secure customer experience. Having a high-performing website is incredibly important to them. Each Customer Segment (point 1) produces a different revenue stream. Airbnb’s model is commission-based, as the company takes a cut whenever a booking is completed on their platform. They charge 6 to 12% service fees to travelers and 3% to hosts. The key resource required for Airbnb is their online platform. Nothing would happen without their website that brings together owners and renters. Millions of listings in 191+ countries. What Key Activities does your Value Proposition require? 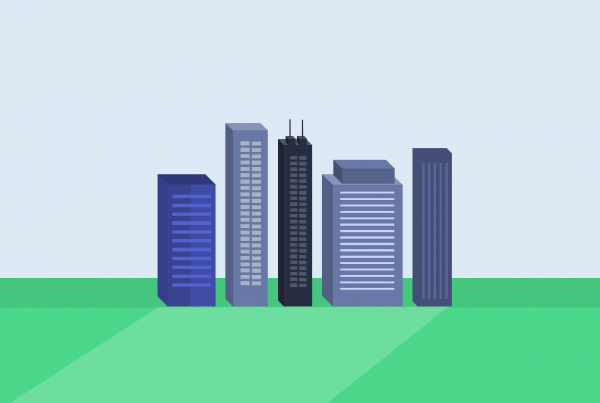 What do you do to make your business model work? Which suppliers / partners are making the business model work? Airbnb has established partnerships with a lot of different companies, NGOS, associations, and more. 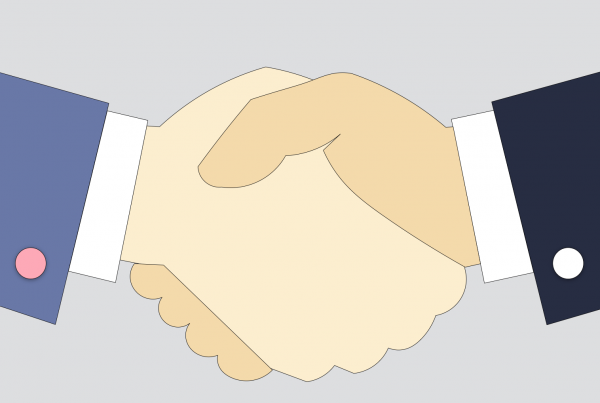 You can find a list of established partnerships with right here. So where is Airbnb spending money? Airbnb’s major costs are related to maintaining and developing the website platform: technology (e.g. programing), marketing (e.g. advertising) and sales (country managers/business development) are the main costs incurred under this pattern. As Airbnb operates its transactions 100% online, the company has to pay transaction fees to payment processors like Visa, MasterCard or Paypal. Airbnb needs to maintain and develop its website platform. Aka all the people working at Airbnb, which also includes the freelance photographers. Airbnb heavily relies on online advertising campaigns. To give you an example, they spent over $23 million in advertising the United States in 2015. Are you constantly thriving to create value for your customers and improve your organization? Are you one of these people who want to defy outdated business models and find innovative ways of making things move forward? Great companies are the ones that create significant value for customers and society. Airbnb’s business model is focused on creating value. Think about the iPhone, Uber… These brands have one thing in common: innovation – they have invented, designed and implemented new game-changing models that solve people’s problems. Business Model Generation by Alexander Osterwalder & Yves Pigneur. This book is a must have for anyone willing to understand the mechanisms that get businesses create, deliver value and generate money out of it. What you’ll learn: how businesses are built, what having a great value proposition truly means, and specific examples of today’s most powerful companies’ business models broken down.